Vicki Dowdy (left) is congratulated by President Bonita Jacobs (right) for her 30 years of service to the university. 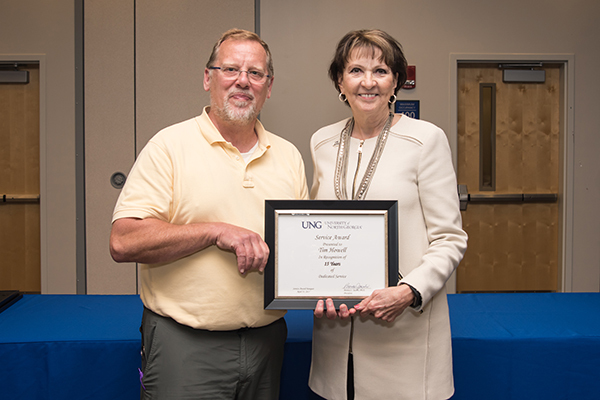 Nearly 200 faculty, staff and retirees of the University of North Georgia (UNG) were honored for their years of service at the 2017 Service Awards ceremonies, held April 24 and 25 on the Dahlonega and Gainesville campuses. 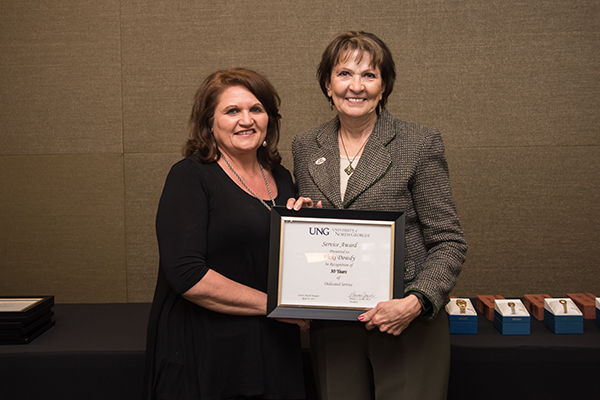 UNG President Bonita Jacobs opened the ceremonies and thanked those recognized for their hard work and service. 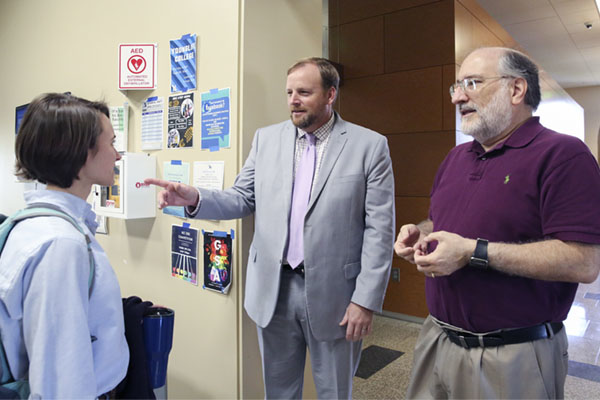 Dr. Joseph Jones, professor of physics who retired in 2016, said that when he was making a decision of where to teach, he wanted a place where "teaching was the most important thing." "When I first came here in 1991, I ended up running the observatory, which I had toured during a trip to the university while I was a graduate student," Jones said. "My main expertise was in astronomical photometry, so it was a great fit. There's a creative aspect to working the observatory, which I greatly enjoyed, and I was also able to spend some time helping physics students with undergraduate research. My latter years consisted more of teaching introductory courses to non-science majors, and that was a lot of fun as well." Dr. Tim Howell is recognized for 15 years of service. Also recognized was Vicki Dowdy, administrative assistant to the assistant vice president for facilities, who has served the university for 30 years. "I started working at North Georgia in 1982, as it was the best opportunity for me. 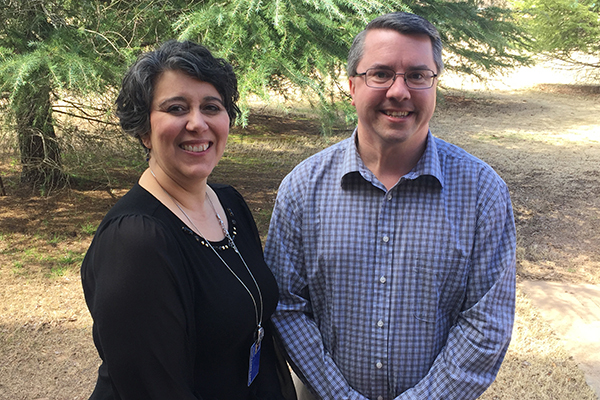 It has been very rewarding to be able to work for such a great organization, and especially working closely with so many faculty, staff and students throughout the years," Dowdy said. "I've felt that the students here kept me young for a very long time! I am blessed to be able to work with such a wonderful group of people." In total, 25 retirees were honored during the ceremonies, and 172 faculty and staff were recognized for years of service. This included: 72 for five years of service; 55 for 10 years of service; 25 for 15 years of service; nine for 20 years of service; nine for 25 years of service; one for 30 years of service; and one for 35 years of service. A complete list of faculty and staff recognized is online.